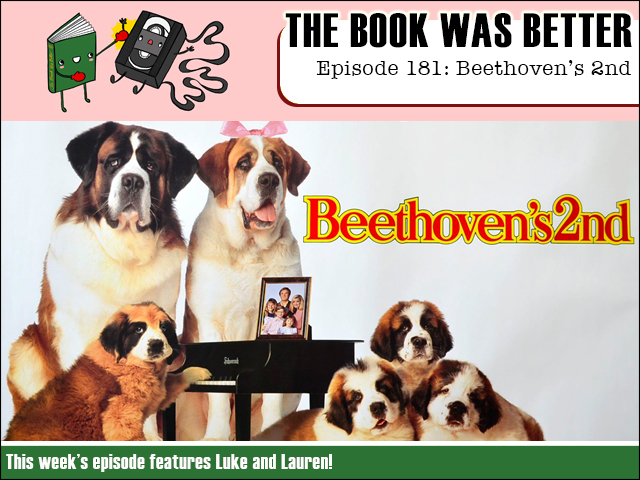 This week we are immersed in one of the hottest pop culture romances ever when we read the bafflingly long novelization of Beethoven's 2nd. And joining me - with a U.S. perspective - is my horrified guest host Lauren. It's about a dog, who is in love, but then it becomes about a whole lot of other unrelated stuff. BURGER BINGE! !